Vision problems and eye health issues are not restricted to adults – children can be affected too. Struggling with their sight can have a significant impact on a child’s performance at school and even the activities they can pursue in their spare time. Amblyopia, or lazy eye, refers to un-correctable weaker vision in one eye. This can happen for a variety of reasons such as strabismus (squint) where the eyes do not point in the same direction, significant focusing error in one eye or congenital cataract (hazy lens in the eye). Treatment for lazy eye involves getting the child to use the affected eye. This is first achieved by the child wearing glasses to correct any focusing error of the eyes. Then an eye patch may be used to cover the good eye and encourage the child to use the weaker eye. If there is a congenital cataract, surgery is required at a young age. The earlier lazy eye is corrected, more effective treatment will be, although treatment must be completed by age 8 to be fully effective. Tears normally drain from the eye through tear ducts. If the tear duct is blocked for any reason, tears cannot flow from the eyes normally. The blockage could be due to failure of the tear duct tissue to open normally, or eye infections, or even abnormal growth of the nasal bone that can close off the tear duct. This condition may also run in families. Blocked tear ducts leads to tears overflowing down the cheeks, and can also cause redness of eyes and secretion of discharge. However, tear duct blockage often clears on its own before a child turns one. Cataracts don’t affect just the elderly; they can occur in children as well, though rarely. The lens in your child’s eyes may become cloudy for various reasons – eye injuries, infectious or metabolic diseases, certain medications that contain steroids, or even due to genetics. The clouded lens must be surgically removed and may be replaced with an implant. All of these problems can be easily detected during a routine eye test. Your child’s eye examination will typically include an inspection of the eyes, light reflex testing with a flashlight, checking for misalignment of the eyes and eye chart testing (as per your child’s age). 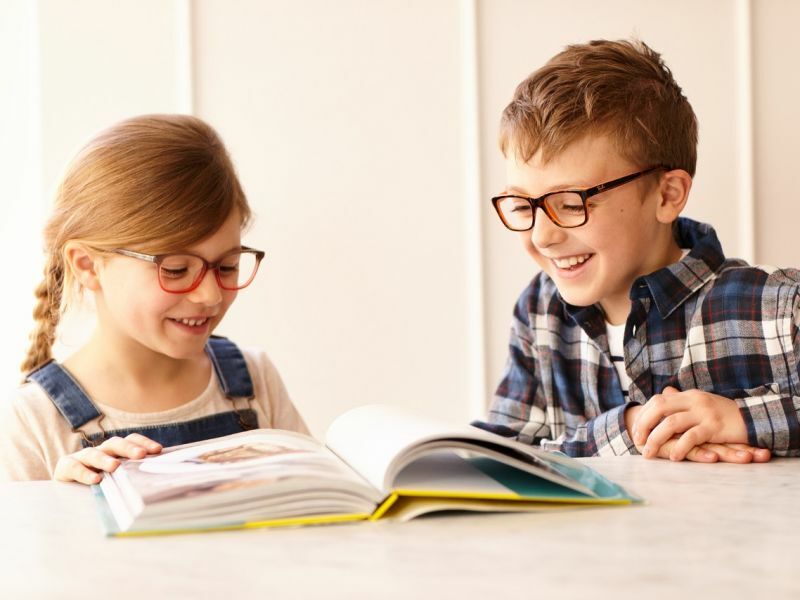 If your child needs glasses, our dispensing optician will help you choose some stylish frames and lenses for your child from our wide range of spectacles. You can book an appointment online, call us on 0800 40 20 20 or visit your local Leightons Opticians & Hearing Care branch.